Every summer one of the highlights of the beach was Meemaw’s pie. Sometime during her stay (usually 2-3 weeks) she would come up to me and say. “Could you carry me uptown?” I knew she was ready to pick up the ingredients for her mouth-watering coconut pie. Leether Southard and our sweet daughter. Meemaw worked as a seamstress sewing parachutes during World War II and continued sewing clothing in a factory in Richmond, Virginia until her retirement. She continued making beautiful clothes and knitting wool blankets well into her 80’s. She had a lovely home on Rosedale Avenue, filled with antique furniture handed down from generation to generation, and other pieces she had bought and paid for with her hard earned money. Exquisite gardens including roses, berries, vegetables and an intoxicating array of native Virginian flowers like the Coral honeysuckle and gardenia adorned her property. When I think of her home, the fragrances are the first to come to my senses as I slept on her teal Federal style sofa and listened to she and Todd laugh and gab in the kitchen. And oh could she cook like only a southern Virginia lady knows how. 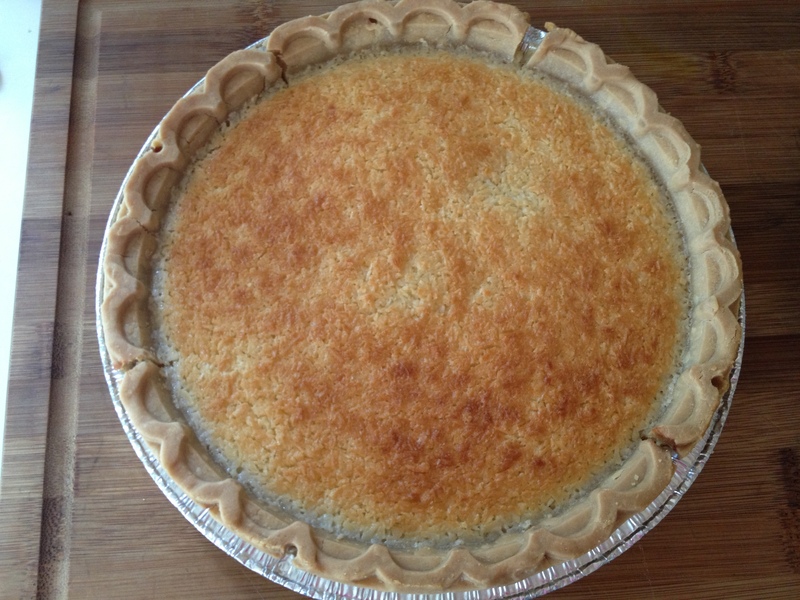 Among her special treats was a coconut pie. Aside from the gluten free pie crust and a tablespoon of rice flour, below is her recipe for the pie filling. Beat eggs, butter, add sugar, flour & salt. Beat again and add coconut mix well. Add milk, and flavoring. Pour into baked pie shell (if you are using a wheat crust with this recipe use an unbaked pie shell. Bake in 375 degree oven for 30-40 minutes. Her son, my Father-in-law Lee is in the photo below working on the beach. 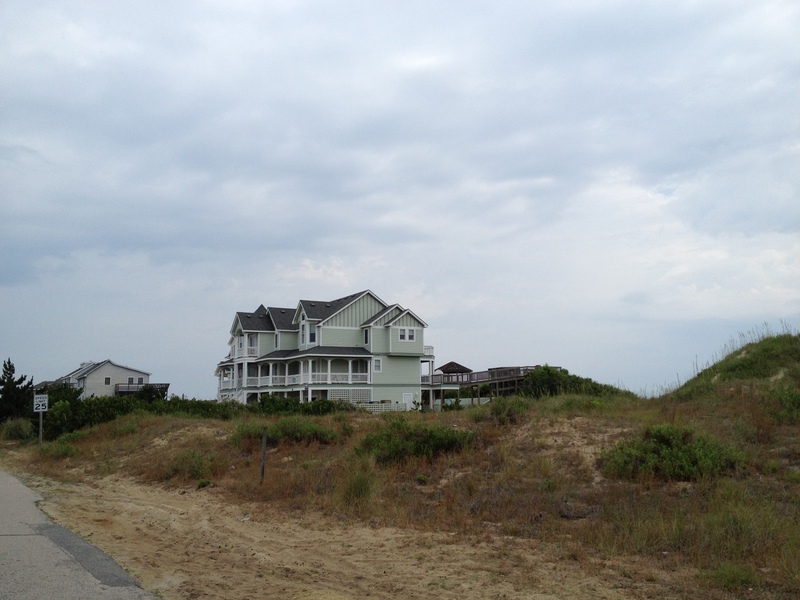 His hard work provided for the dreamy summers on the Outer Banks. 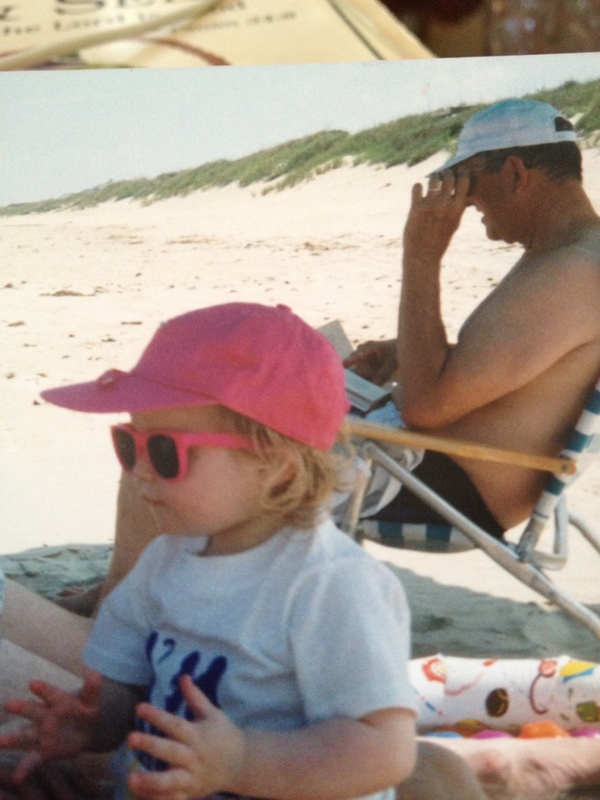 Our daughter and her grandfather Pop. Meemaw was a savvy, frugal, hard-working lady who succeeded by the sweat of her brow, and passed on her work ethic to her son and grandchildren. She was warm, honest, had a great sense of humor, and continually reached out to help others making us all feel so loved and special. I think of her everyday as I drink yesterdays coffee as my first cup and reuse my aluminum foil (I learned this from her), and as I set my table with some of her good silver. 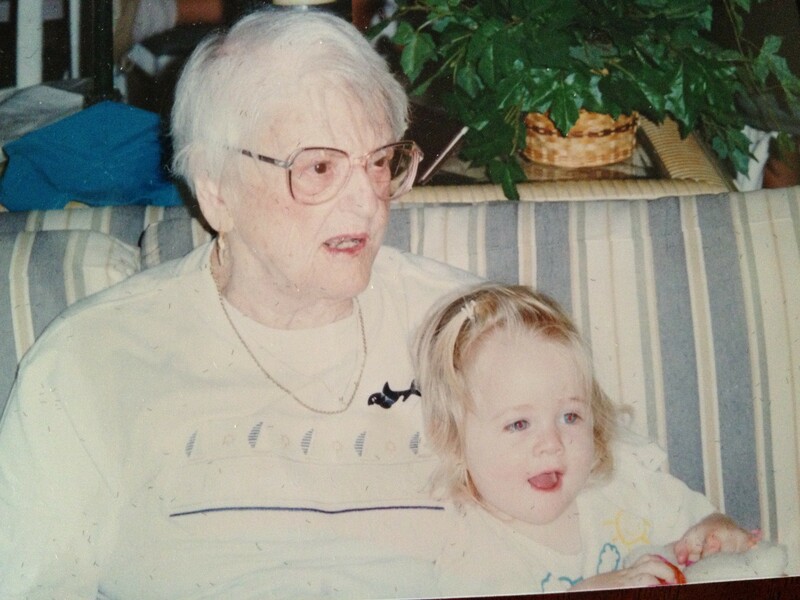 Meemaw went to be with Jesus on Christmas Day. Today is a perfect day to buy lamb. 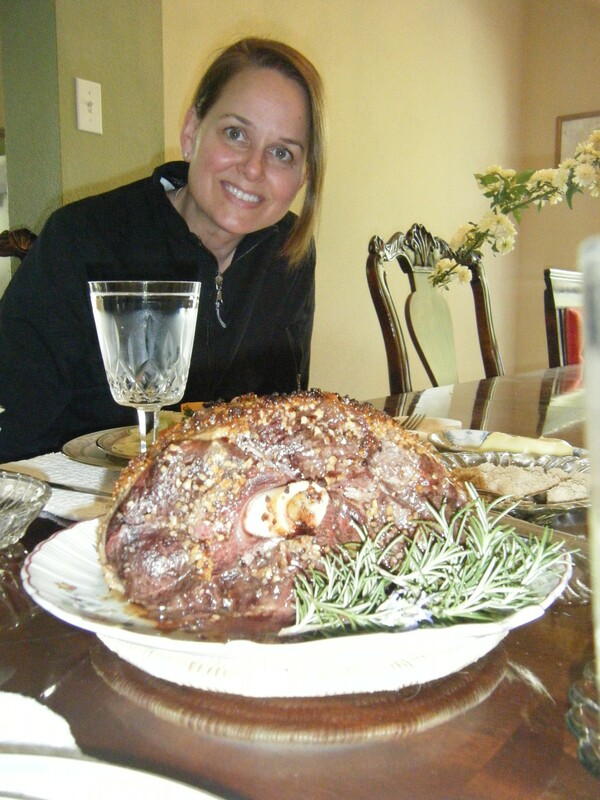 A leg of lamb will cost between $50.00 and $75.00 and the monday after Easter is a great day to pick one up on sale for your freezer. Serve it anytime. We enjoy Lamb for holidays, and yesterday it was a big crowd pleaser for our dinner guests. 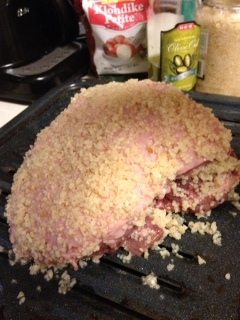 Rub lamb with kosher salt, olive oil and coat with minced garlic. The next layer is mint. Completely coat over the garlic with mint. 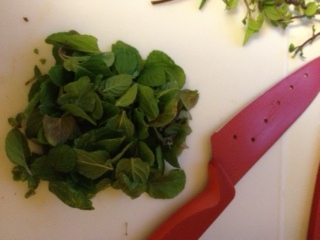 A jar of dried mint will do if fresh is not available. Place lamb on a roasting rack in the oven at 425 degrees , reduce heat to 325 and continue to cook till internal temp is around 165-175 degrees. Serve garnished with rosemary or mint sprigs. The okra keeps growing in our drought here in Texas. I am wondering if I have enough recipes to start a series on Okra recipes. I have never cooked with okra till this past month as we watched it thrive and grow even with little to no water. We cook frittatas to accommodate our gluten-free family member. They are easy and filling. Serve at dinner or breakfast. Saute chopped onions, garlic, and 1 cup of sliced okra. 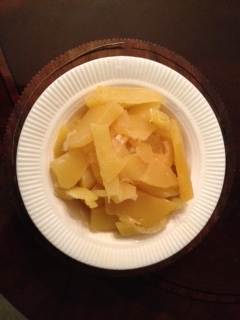 1 c of shredded cheddar. 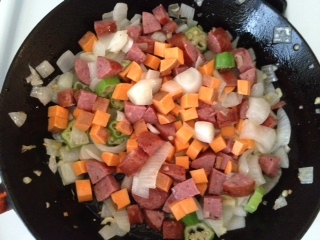 Pour all ingredients into a hot skillet. Reduce heat slightly, and watch closely for about 3-4 minutes and flip over using 1 very large spatula, or two small. 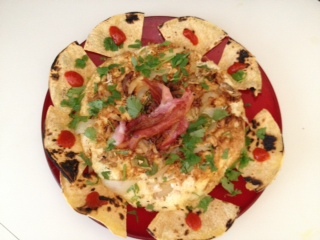 We toasted a tortilla over the burner and sliced to make chips. Dab with hot sauce and enjoy! During Moms in Prayer this morning we all prayed that every fiery trial our child endures will serve to fortify and purify their faith…even as gold is refined by fire. It was a great reminder to me as I toss hot sauce on my eggs each morning to focus on the beautiful faith we receive as we trust and follow His direction in our own fiery trials. 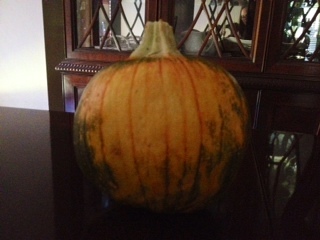 Skin pumpkin just like a cantaloupe and slice in the same way. Pour an inch of water in the bottom of a pan and toss in the sliced pumpkin. I served with chicken breasts topped with pesto and a side dish of steamed kale doused with balsamic vinegar. Waiting for something to grow in our lives takes patience. The pumpkin picked too soon would have been bitter. What to do while you wait? 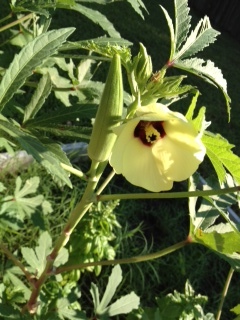 Over at the Southards we are enjoying all things okra. Savor each bite packed full of nutrients. Enjoy the company you are with fix your gaze and be curious. Celebrate that moment hearing their heart. You simply can’t imagine what insights and the happiness you’ll experience when you catch those thoughts running ahead and capture the moment with your neighbor, your child, your spouse. I was really focusing on my husband and just hearing what was on his mind when wala….he whipped up this dish. Slice the okra and toss in the frying pan with a little sliced garlic. Simmer on low and chop the remaining ingredients. 2 Texas Hill Country sausage from HEB or the local favorite. Top with 5 whipped eggs and a tablespoon of baking powder. Bake in toaster oven till eggs are slightly golden. Great gluten-free dish and looks like a Quiche after it sets up in the fridge. Now may the God of peace Himself sanctify you completely; and may your whole spirit, soul, and body be preserved blameless at the coming of our Lord Jesus Christ. He who calls you is faithful, who also will do it.